The founder of aikido Morihei Ueshiba, or O’Sensei, considered aikido to be a method for correcting your own mind. The lessons I learned on the mat, I still apply today in my writing. 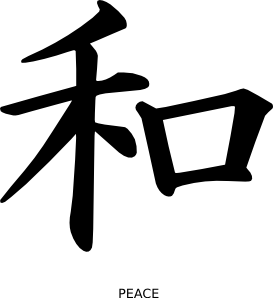 Aikido – a Japanese martial art form – can be translated as ‘the Way of unifying with life energy’ or ‘the Way of peace’. It is concerned with the discipline of practice, daily practice ideally. The idea is that only through constantly repeating the same tasks or movements over and over can we learn them to such a degree that they become part of our make-up. Because aikido is “is a miniature cosmos where we make contact with ourselves” 2, when I first started training on a regular basis, I came face to face with my own fear. I could feel it in the pit of my stomach, causing a good deal of discomfort and giving my digestive system grief. It was only when I started working on building ki (energy), particularly in the hara (marital artists consider the hara – situated just below the belly button – to be the energy centre in the body), that I realised how weak this area was for me. My stomach would churn and churn as I got into my car and headed up Punt Road to the dojo. It was a battle of mind and will just to get there. Sometimes, I got halfway there, and came home again. I found everything about aikido challenging. There were so many reasons I was afraid – particularly in the first months. Fear of failure, springing from my family background where high levels of achievement were prized. Fear of making a fool of myself. Fear of not understanding. Fear of all those strangers who seemed to know exactly what they were doing. Fear of hurting myself. Fear of being a woman in a male-dominated environment. Fear of not being as strong or fit as others. Fear of being laughed at. I wanted to be good at aikido, but my fear was holding me back from throwing myself into it fully. As time went on, I began to think about the people at aikido that I considered to be the best. They were the ones who were always in the dojo early, practising before class. I’d watch them on occasion and tell myself I couldn’t go over and train with them because they were better than me and I would get in the way, annoy them and end up looking bad. So I continued to avoid training with them. Somehow I had it in my head that they were training more because they were better than me, more naturally suited to it, not that they were better than me because they did all the extra training. I resolved at that point to just put my feelings about it aside and train anyway. There were good days and there were bad days, but I kept throwing myself into it, and over time I began to improve. I realised the people I was training with also made mistakes. They just didn’t judge themselves for making them; they simply tried to correct them and looked at it as an opportunity to learn. I noticed some of my training buddies deliberately seek out the challenging people in the dojo – the ones who, for whatever reason, were difficult to train with. They were the people I hated being paired with. There was one young girl who had the most rubbery double-jointed wrists, and I could never work out how to hold her in a wrist-lock. It always seemed to me like she was gloating because I was unable to lock her in position. I avoided training with her if I could. Until one day when my training buddy John said to me that he always tried to pick her, because she gave him the greatest challenge, which offered him the opportunity to learn the most. It was an eye-opener for me, this idea of deliberately choosing the most challenging position to be in, because that’s where you could learn the most. Paul was another aikidoka (training partner). He was extremely ungainly and uncoordinated. There aren’t many people like this – it’s sort of like being tone deaf. Most people can manage to hold a tune at least. One would think that a guy like this might choose to do something to which he was more naturally suited than the martial arts! But Paul kept at it – year in, year out. Making slow progress, but progress nonetheless. One year he even managed to get his black belt, after failing his test a couple of times before. I truly admired Paul. Not only did he have to deal with his physical impediments, he also had to deal with the attitude of the less enlightened members of the dojo. Nobody set out to be cruel, but Paul was often the brunt of someone’s joke. Paul was a revelation for me – his ability to withstand the jokes, the corrections, the achingly slow progress, the failure of his black belt grading, and how he kept on coming back for more. What strength of character. What a lack of fear. What a lack of ego. It’s a decade on now, and in some ways I would like to be able to say I kept training. Truth is, I didn’t. But it was never a black belt I was after. I never really desired to be a martial artist. When I started training, I just wanted to get fit and meet some people. But to get your black belt you have to train – a lot. And I wanted to be a writer. I wanted to take all that time and energy and lessons learned, and put them into creating something. I learnt that if you want to achieve something you must throw yourself in completely – even if you are afraid. The only way to overcome the fear is to put the fear aside, and get on with the task at hand. All the same fears I wrote about in relation to aikido apply to my writing today. I’ve just chosen to get on with it. I learnt that the best policy if you care about self-improvement is seeking out the challenges – because that’s where the gold is. Writing a blog post and putting my own thoughts out in the public domain – that is a constant challenge. Most of all I learnt to just keep writing. Despite everything, keep doing it. Even when you are afraid, keep doing it. Even when you are laughed at, keep doing it. Even when the challenges seem insurmountable, keep doing it. Even when you are totally lost, keep doing it. Even when you’ve lost sight of why, keep doing it. Even when you have nothing to write about, keep doing it. So perhaps, in the end, a black belt – whether that be literal or metaphorical – is about keeping at it – demonstrating that true grit, commitment and determination – in whatever direction in life you are drawn, wherever it is that your bliss may lie. Picking up that pen, sitting at the computer, and writing. There is no substitute for the discipline of daily practice.